Featuring a combination of solid infill bars and a large decorative scrolls the Marlborough metal garden gate is an ever popular design that is suitable for a variety of outdoor locations. Perfect for a range of residential applications including front entrances. Manufactured in the UK using high quality solid steel components. 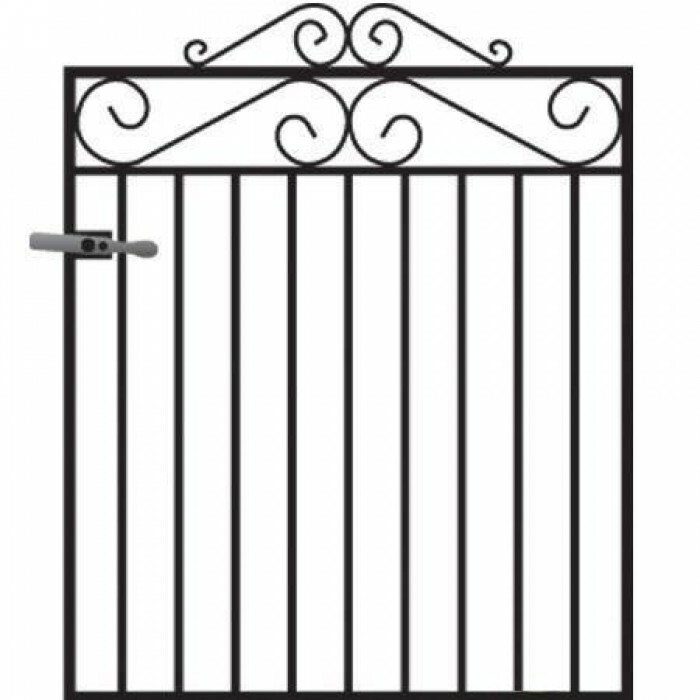 Marlborough metal gates feature 20mm x 8mm framework, 10mm infill bars and 10mm x 3mm scrolls. 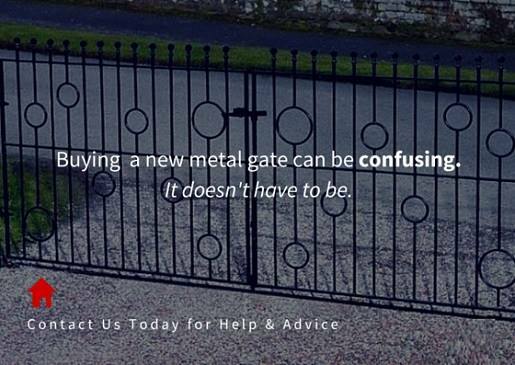 All Marlborough gates are finished in a black primer and must be painted before installation to provide protection against the elements..
Do you need assistance selecting a new garden gate? 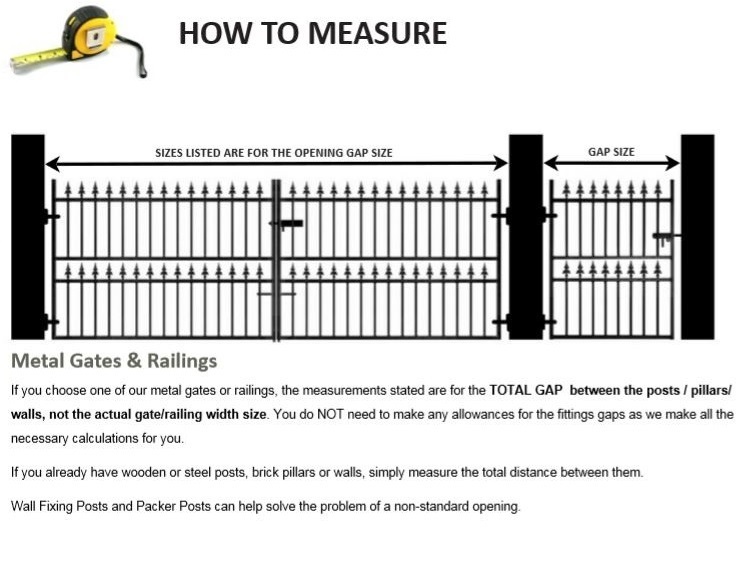 Check out the measuring guide & frequently asked questions page or contact us by phone or email. 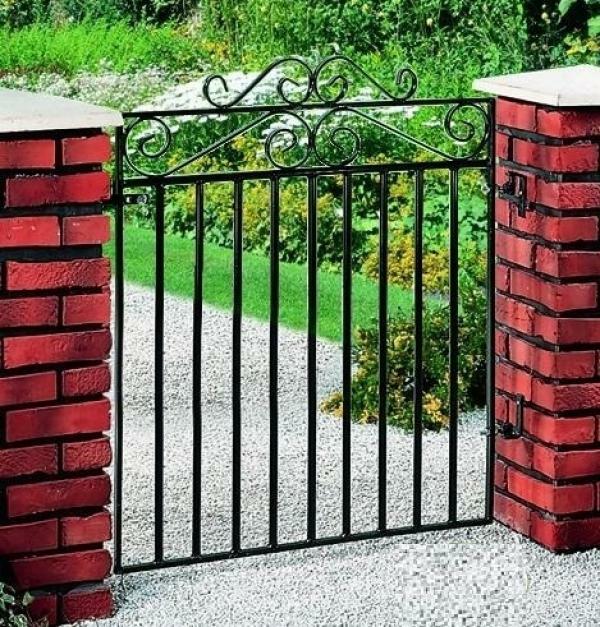 If you would prefer to order the gate in a pre-finished powder coated paint finish or if no supporting structure (such as a wall, pillar or fence) is available to attach the hinges and latch please feel free to get in touch by phone or email as we have numerous post options and paint finishes to choose from.